How absolutely fascinating! And what a perfect response to Karma’s Whimsy Challenge. 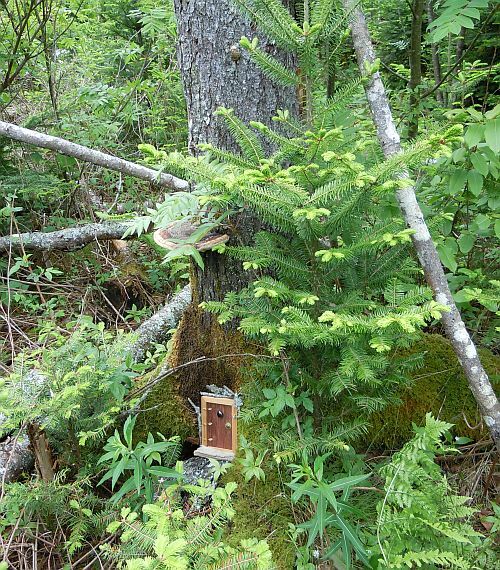 I love the fairy door, by the way… did you put that there for your grandchildren? (Whispering) May I ask if it has ever … um … been opened from the inside? … you know… by … um … fairies…? Thanks Reggie. I created the fairy door last fall with input from my mom while she was here for a visit. It was a bit of whimsy for the sake of whimsy itself at the time. Giggle… I’d *looove* to have a peek inside. Maybe, the next time you see it standing open…? It is lovely to do such fun, magical things with one’s little ones. 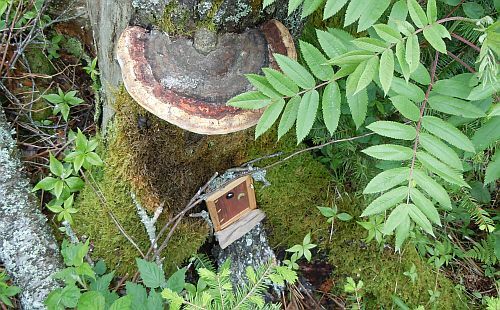 Robin, these fairy doors are such an enchantment aren’t they? I’m sure your granddaughters will love the one at your place once it’s installed. Not sure what my grandsons make of this type of thing. 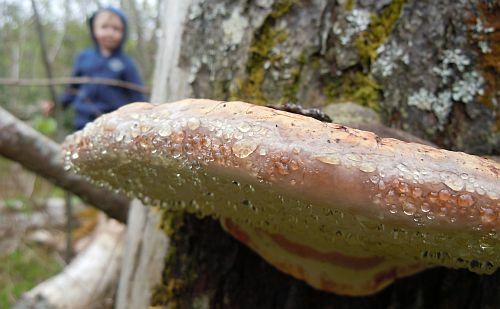 The oldest is skeptical and the youngest finds more wonder and mystery in fungi than anything else. Very cool! I love the imagery of the bracket fungus shedding tears of joy and sorrow for the guests. Thanks for the link to my post! I found your post about the bracket fungi and their exudate droplets very helpful in confirming what I had discovered in my backyard. I think “tears” sounds so much more magical than “exudate droplets” 😉 Love the lil’ door. How adorable! “Whimsy for the sake of whimsy itself” – I love it! Karma, whimsy is wonderful. Thanks for the challenge. Stacy, I think there’s more to fungi than first meets the eye. They’re a pretty amazing life form. Enchanting and magical blog. The pictures are great and what about this “Tears of the Fairy Tree”‘s title ? 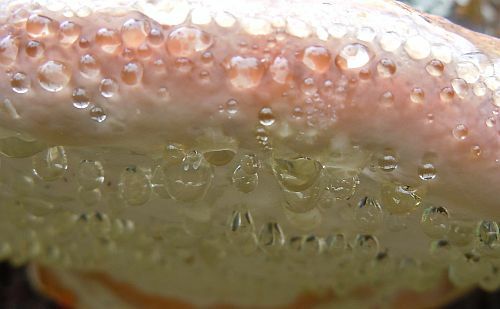 I loved reading it and imagining… Very interesting information about this weeping mushroom too. Thank you Amy-Lynn. Isabelle, so glad you enjoyed this blog post. Mushrooms in their many forms certainly spark the imagination. I missed this while we were downstate celebrating my dad’s 80th birthday. Yes! It’s a portal to another world. I have never seen anything like it. Therefore, perhaps it’s a specific portal for YOU. There is a fairy buzzing around (it could be a mosquito) who is saying something like that. Kathy, I do hope it’s a fairy and not a mosquito buzzing around. A portal to another world sparks the imagination. Imagine a world without black flies, mosquitoes or ticks to worry about!